Conversion of hydroxyapatite to a fluoridated hydroxyapatite : Dental enamel is a crystalline structure composed of hydroxyapatite crystals. Fluoride ion replaces a hydroxyl ion and consequently renders the hydroxyapatite crystal more stable and more resistant to dissolution by acid. Increased rate of post eruptive maturation : When a tooth erupts into the oral cavity there are certain areas of the tooth which are yet to be developed. Fluoride increases the deposition of mineral in these areas. 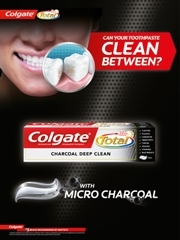 Both organic material and inorganic mineral ions are deposited onto the enamel surface which makes it more resistant to acid attack. Inhibits the micro-organisms : When the fluoride concentration within a bacterial cell reaches a certain limit, it becomes bactericidal. In lower concentrations, fluoride is bacteriostatic i.e. it reduces the growth of bacteria but does not kill them. The action of fluoride is mainly on the bacterial enzymes. Fluoride has been reported to alter tooth morphology : Teeth, which have developed under influence of fluoride, have been reported to possess shallow fissures, less steep cuspal inclines and rounder cusps.Systemic fluorides are thought to be effective if present only during the time of tooth formation and development. After that topical fluorides are supposed to play a vital role in increasing the resistance of the tooth to decay. It is certainly important for infants and children between the ages of 6 months and 16 years to be exposed to fluoride. These are the time frames during which the primary and permanent teeth form and erupt. Systemic : Systemic Fluoride provides low concentration of fluorides on long term basis. The most common method of systemic fluoride intake is Community Water Fluoridation. Community Water Fluoridation : Water Fluoridation is defined as “the controlled addition of a fluoride compound to a public water supply in order to raise the fluoride concentration to a predetermined level for the purpose of prevention of dental caries. The optimum fluoride concentration has been suggested to be 1 PPM (parts per million) in temperate regions. However in tropical countries, due to hotter climate, the water consumption is higher. Similarly in cold countries, the consumption is lower. A formula has been given to calculate the fluoride concentration, taking into account these climatic variations. Community water fluoridation is possible only where a central public water supply system is present. Water fluoridation is not practised in India. School Water Fluoridation : In the event that water fluoridation is not feasible, school water fluoridation can be an alternative. Here, the amount of fluoride has to be increased because consumption of water is less frequent during the day. This is usually 4.5 to 5.5 PPM. Permanent teeth would benefit more from this measure. This makes fluoride available to children, for whom dental caries is a primary problem. Fluoride supplements- tablets, drops & lozenges. Fluoride dentifrices -- Fluoridated dentifrices commonly contain sodium fluoride and stannous fluoride usually in the concentration of 1000 ppm. Fluoridated dentifrices should be used under parental supervision under the age of six years. 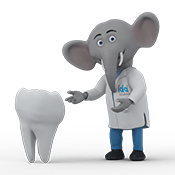 The use of dentifrices containing 1500 PPM or more of fluoride is not advised in children. Tooth Stains -- No matter what age you are, plaque will always be waiting to attach to your teeth. But as you get older, plaque is quicker to build up and can become more difficult to remove. Brushing and flossing daily, especially before bedtime and in the morning, are essential for removing the plaque that builds up while you sleep. Consider using a plaque rinse, but be sure to consult your dentist first! Fluoride Mouth Rinses -- It is recommended to use Sodium fluoride 0.2% for fortnightly and 0.05 % for daily use. The solution should be swished around the mouth for one minute prior to expectoration. Mouth rinses are not advocated for children below six years. Children with high caries activity. Special children (physically and mentally challenged children. Fluoride is a natural mineral that is found in many foods and in all drinking water. Children who have fluoride when their teeth are developing tend to have shallower grooves in their teeth so plaque can be more easily removed. The addition of fluoride to water has been researched for over 50 years and water fluoridation has been proven to reduce decay by 40- 60%. 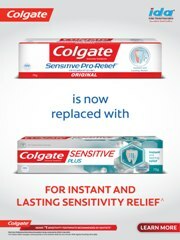 Fluoride Toothpastes : Most toothpaste now contain fluoride and most people get their fluoride this way. 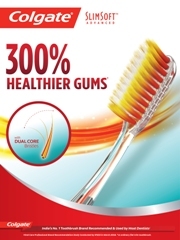 Fluoride toothpaste is very effective in preventing tooth decay. The amount of fluoride in toothpaste is usually enough to lessen the level of decay. Parents should supervise their children's tooth brushing and use only a smear or pea-sized amount of fluoride toothpaste until they are about 7 years old. Fluoride Rinse:Mouth rinses containing fluoride are also available in the market. They are also an effective means of controlling tooth decay and reinforcing the enamel to resist acid attacks which lead to tooth decay. 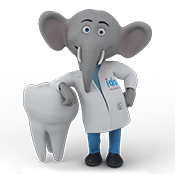 Fluoride Supplements: Fluoride supplements should be taken on the advice of a dentist. Supplements are suitable for children from about 3 years onwards and can help reduce decay. Especially in India, where we do not have fluoridated water; supplements can be an effective means of preventing tooth decay. The amount and frequency of intake is determined by the dentist on the basis of a number of factors including: age and weight of the child, existing oral condition, Fluoride levels in water amongst others. Varnishes : Duraphat and Flourprotector are painted on the teeth. Foams : Are applied with the help of a tray. Fluoride application : Your dentist will apply fluoride compound topically on teeth. It may be in the form of liquids, gels, gel foam, varnish, etc. Among all these, varnish is most effective, as it. forms a layer over the teeth. The application of fluoride compound may be done by placing a tray on the teeth and leaving it for some time. This method avoids the risk of ingestion of fluoride. This treatment is recommended for children in order to provide protection to newly erupted teeth. Acute toxicity of Fluoride: Fluoride toxicity occurs from ingestion of a large amount of fluoride. This could happen because of ingestion of fluoride containing products such as pesticides or dental care products like mouth-rinses or tablets, drops, etc. Chronic toxicity of Fluoride:Chronic toxicity of fluoride results from prolonged consumption of water with high levels of fluoride. What is Dental Fluorosis ? Chronic consumption of high levels of fluoride results in dental fluorosis in which white flecks, yellow or brown areas are seen scattered over the tooth surface. This condition is also called as ‘Mottling of enamel’. In severe cases the morphology of the tooth may be affected. How to avoid fluoride toxicity? Store fluoride supplements like fluoride tablets away from young children. 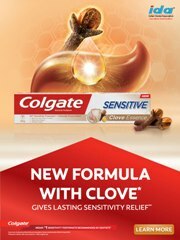 Avoid flavoured toothpastes because these tend to be swallowed. Use only a pea-sized of fluoridated toothpaste on a child's toothbrush. Be cautious about using fluoridated toothpaste in children under age 6. Children under 6 years of age are more likely to swallow toothpaste instead of spitting it out. Excess of fluorides can cause reverse effects on the oral health. Improper bone formation, brittle bones, curved spines and other deformities prominently in legs. A recent US study warns about the dangers of dental fluorosis, which leads to not just spotting or streaking on the teeth but serious health risks complications including increased risk of bone fractures and decreased thyroid function.